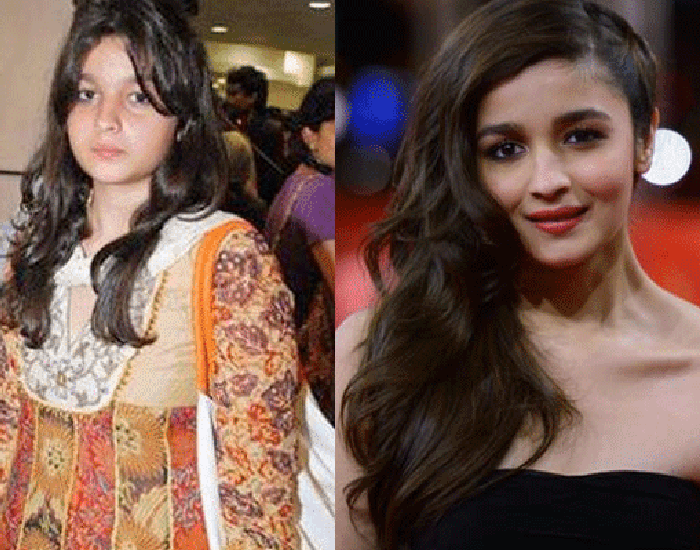 A chubby girl during her teens, Alia now flaunts a perfect figure and curves effortlessly. A heartthrob of many men, Alia has come a long way since her debut film and she is also maintaining her scintillating figure without fail. Dreaming of being an actor ever since her childhood, she was asked to shed off 20 kilos for her debut role. Alia took her weight loss journey as a challenge by losing 20 kilos in just 6 months. No fairy Godmother transformed her into a fit beauty overnight. Instead, it was her sheer hard work and determination of following the right diet and working out that won her applause and transformed her. Student of the Year was a turning point of her weight loss journey. We dig deep and found some of her fitness secrets. 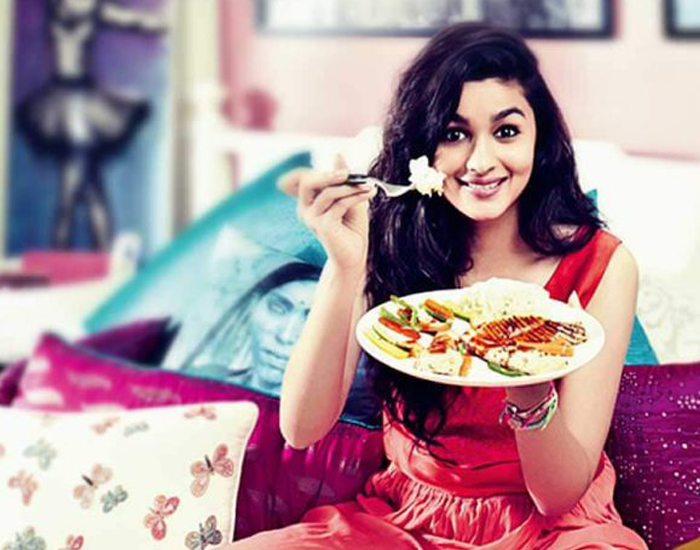 Alia stays in shape by sticking to a healthy diet and generally observes a clean lifestyle. For her fitness, slender figure, and a healthy lifestyle she eats 7-8 meals a day. This allows her to limit her portion sizes and allows her food to be digested easily. She eats when she is hungry and listens to her body. Her daily diet includes nutrient-dense food such as oatmeal, acai berries, papaya, and fresh salads. She starts her day with a steaming hot cup of herbal tea, green tea, or coffee (all without sugar). This is followed by poha or an egg sandwich. As a mid-morning snack, she indulges in a glass of fresh vegetable juice, fresh fruit or idli with a bowl of sambar. Lunch for Alia consists of Dal, Roti, and some vegetables. Everything is cooked at home with little or no oil. To satisfy her evening cravings she eats a bowl of fresh fruits and has a cup of tea or coffee without sugar. She likes to keep her dinner light and usually eats1 roti (without oil or ghee) or a bowl of rice with dal and vegetables or roasted chicken. To keep herself hydrated in between her hectic schedules she sips coconut water and healthy juices. While she stays away from junk food and oily food, she sets one day every week to eat what she loves but in moderation. She is a firm believer in moderation is the key to a healthy lifestyle. Born with a sweet tooth, she’s a big fan of delectable cakes and cupcakes. With her lifestyle, it is important for Alia to keep a check on her weight. Never a fan of the gym earlier, she is now a self-proclaimed fitness enthusiast. She hits the gym at least 3-4 times a week and follows a very rigorous workout regime. She begins her workout every day on the treadmill and has assigned working on different parts of her body through the week. From bodyweight training to cardio workouts, she does it all. She practices cardio almost every single day for 30-40minutes. Her workout schedule at the gym consists of, push-ups, dumbbell raises, bicep curls, lateral pulldowns, and triceps pushdowns. She also does crunches, back extensions, lunges, and squats to maintain her fitness. She also practices yoga for strength and flexibility. Calling herself the “Pilates Girl”, Alia challenges her core, strength, stability, and shoulder strength with Pilates which makes her body and her feel great! Alia believes in getting a good amount of rest and sleep before starting a new day. She goes to bed early which gives her a lot of energy for the day and gives her skin a glowing texture. No wonder she is always so chirpy, bubbly, and fun. Here’s wishing our Pilates Girl the best of health and success for her future ventures!